UT Elementary School kicked off Hispanic Heritage Month with a fun-filled Diez y Seis celebration on Friday, Sept. 14. In honor of the anniversary of Mexico’s independence from Spain, first-grade students donned traditional sombreros and danced with maracas before an audience of teachers, classmates and family members. As part of the school’s multicultural education curriculum, the event teaches students the history and cultural contributions of Hispanic Americans in the United States. 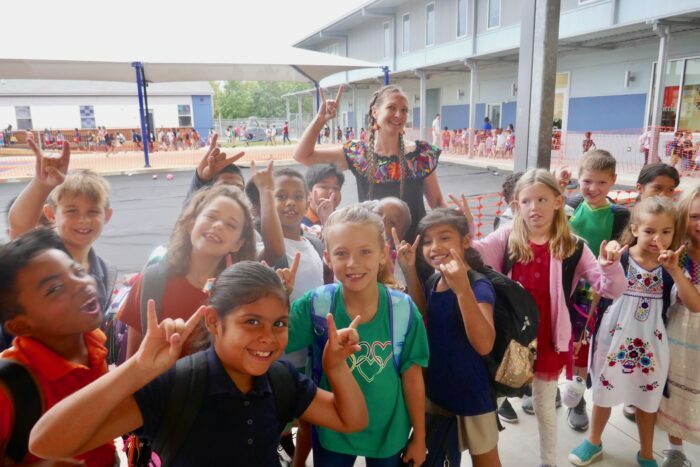 Throughout the academic year students of all grade levels will participate in a number of festive events and field trips that emphasize diversity and cultural awareness.